It’s a Bird! It’s a Plane! It’s…an Infographic? Ah, the power of branding. 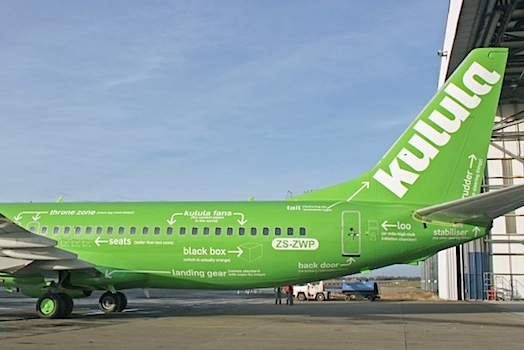 While Boeing plays around with carbon fiber, South African airline Kulula–unknown to me before this–slaps a new decal on its fleet and becomes the talk of the blogosphere. 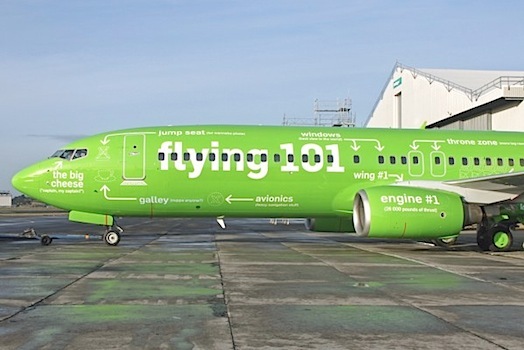 With the help of local branding agency Atmosphere, Kulula launched this new look, called Flying 101. It’s more proof of the ubiquitous cool of infographics, I guess–everyone loves a good labeled diagram. And what a way to stand out on the tarmac, amidst South African Airways plain-Jane fleet: white, serifed type, and the most predictable logo possible, the South African flag. It’s a huge step up from Kulula’s past designs (right, top), which made it look more like a late-90s build-your-own-Website company. They had a cool color, but that was it. 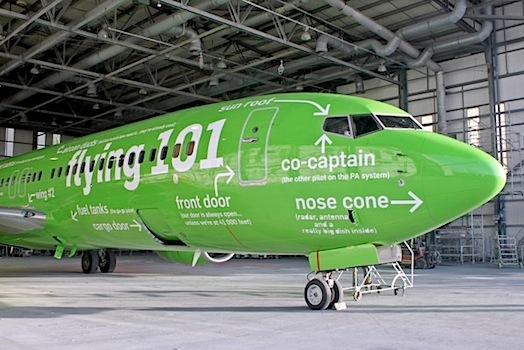 In their efforts to get hip, Kulula has done some wacky things, like this creepy (but funny? I’m not sure) “news” show. Their new look is tame in comparison, but I’d say just as effective. Did anyone else always think the black box was in the front?